HOUSTON (Reuters) - Venezuela must pay ConocoPhillips more than $8 billion to compensate for the 2007 expropriation of oil assets by the country’s late socialist leader Hugo Chavez, the World Bank ruled on Friday, making the U.S. energy company the largest victor in claims stemming from nationalizations in the OPEC country. The company may have to fight to collect. Venezuela has balked at paying in other arbitration cases and may challenge the World Bank tribunal’s decision. Conoco previously has used legal seizures of Venezuelan oil assets to enforce its claims. The oil company had sought up to $30 billion for the takeover of three oil projects more than 10 years ago, according to a World Bank report. The tribunal, known as ICSID, found the takeover unlawful in 2013 and two years ago rejected the OPEC-member country’s request for reconsideration. The tribunal said Conoco could not seek double recovery. It was not immediately clear how that finding would affect Friday’s total $8.7 billion award. 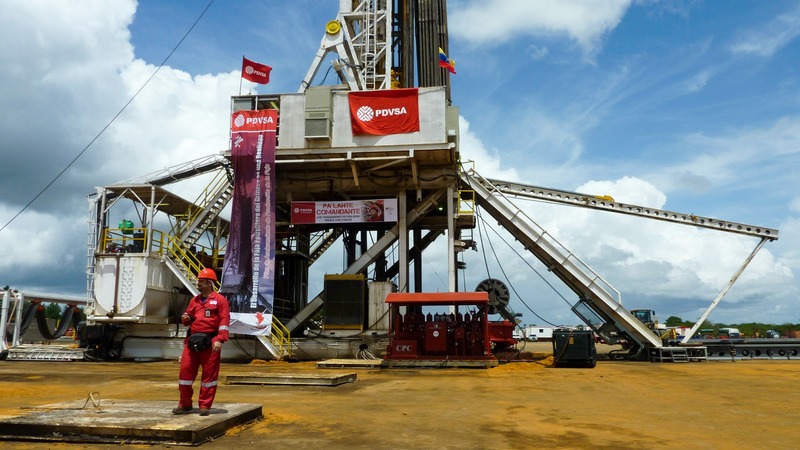 The past award covered two of the company’s three oil projects in Venezuela. Venezuela’s oil production has fallen to an almost seven-decade low due to mismanagement, a lack of investment and financial sanctions imposed by the U.S. government. Its declining oil exports have led the nation into a severe economic crisis and fueled an exodus of about 3 million residents. Venezuela’s main foreign asset is U.S.-based Citgo Petroleum, an oil refiner that recently appointed with Washington’s support a board of directors independent of Venezuela’s socialist government. “For Venezuela, it is possible to pay Conoco with Citgo’s assets, so this award makes it politically complex for the U.S. government to protect Citgo against creditors if one of the claimants is a U.S.-based company,” said Francisco Monaldi, an expert in Latin American energy at Rice University’s Baker Institute. Venezuela’s communications ministry was unavailable for immediate comment, and state-owned oil company PDVSA said it would not comment immediately. The government of opposition leader Juan Guaido is “analyzing its options to defend the Republic,” Miguel Angel Santos, an adviser to the government’s representative to the Inter-American Development Bank, said in a tweet on Friday. The South American country six times sought and failed to disqualify one of the panel’s three arbitrators. The rejection could provide Venezuela an avenue to challenge the award, said an attorney familiar with the country’s arbitration cases who declined to be identified. Law firm Curtis Mallet-Prevost, Colt & Mosle, which represented Venezuela before the tribunal, had no comment. The decision “upholds the principle that governments cannot unlawfully expropriate private investments without paying compensation,” Conoco General Counsel Kelly B. Rose said. While Conoco prevailed in its main claim of damages arising from the expropriation of its assets, the award represents about 40 percent of its claim. ICSID ruled against the company’s request for the loss of future tax credits, which was valued at some $10 billion, the ICSID said. The tribunal’s decision brings Conoco’s total awards under two different Venezuela arbitration cases to $10.7 billion. Under World Bank rules either party to a decision can request to annul the award, which would trigger a stay of any enforcement. Last year, Conoco received a $2.04 billion award from the International Chamber of Commerce (ICC) involving broken contracts on some of the same assets. PDVSA agreed to pay the award and delivered $400 million after Conoco began to attach assets in the Caribbean to enforce the ruling. Canadian mining firms Rusoro Mining Ltd and Crystallex International Corp last fall each settled an arbitration claim with Venezuela for more than $1 billion. Exxon Mobil Corp’s $1.6-billion award against Venezuela over its 2007 oil project expropriation was annulled by the ICSID in 2015. Exxon last year filed a new claim seeking to restore the original decision. Venezuela’s nationalization wave, led by Chavez as part of his Socialist project, led to more than 20 international arbitration claims, which remain mostly unpaid. Conoco shares closed down 3.7 percent at $65.43.